By definition, every design PhD must take an untrodden path – which can make the journey every bit as risky as it is worthwhile. We welcome discussion and debate from our PhD student delegates as we work to demystify the practice and process of the design doctorate. The PhD Gathering is designed for PhD students by PhD students at Duncan of Jordanstone College of Art and Design, University of Dundee. In line with EAD values, the Gathering aspires to nurture budding researchers by cultivating conversation, confidence and collaboration. Join the conversation online now as we work towards the main event using #EADPHD. 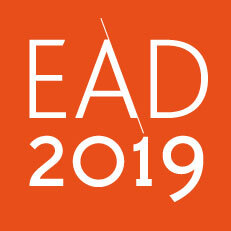 Our team will be taking over the @EAD2019Dundee Twitter account and Facebook Page to keep you up to date with news and exciting opportunities. In this creative session use collage techniques to represent ideas or elements of your PhD topic on an A5 postcard. Exchange your postcard to continue conversations with the #EADPHD community beyond the conference. 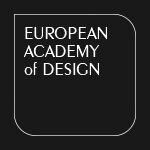 Work with EAD Heroes of design research to discuss your research and demystify the design PhD with peers, including EAD Founder, Professor Rachel Cooper, and Professors Leon Cruickshank, Tilde Bekker, Claire Craig and Martyn Evans. Allow our Heroes to familiarise themselves with your research topic and questions by completing your EADPHD profile and sending to Sara Nevay at s.nevay@dundee.ac.uk by 22nd February 2019. An open discussion with our Heroes to explore key themes and common experiences of the design PhD highlighted over the course of the afternoon. We’ll work together to collate our findings and present these during the EAD2019 Running with Scissors Conference. The PhD Gathering – EAD’s first ever PhD dedicated session – will take place on the afternoon of Tuesday 9 April just before the full EAD2019 conference opens. Supported by our EAD Heroes of design research, we are hosting a nurturing and dynamic afternoon of activities, discussion and community-building. Peer learning and guidance is crucial to early stage researchers. The PhD Gathering provides PhD students the opportunity to build their peer network and to share and get feedback on work-in-progress research from this community as well as experts in their field. We welcome international PhD students of all stages from across the design research discipline. Aligned to the main conference theme, Running with Scissors, this special event seeks to celebrate and nurture a strong, diverse international student community, placing emphasis on peer support and learning. PhD students attending EAD2019 will participate in the event. EAD2019 has secured new funding from DJCAD in support of developing PhD Leadership and Community during the conference. For further information follow our blog posts. Follow us on social media. Stay up to date with all the exciting discussions, news, events and conference information.